Dunsmuir is releasing their debut album this Friday. While the band’s talented line up has been getting a lot of attention, Dunsmuir stands up strong on its own merits. The concept album is a great launching point for the band. 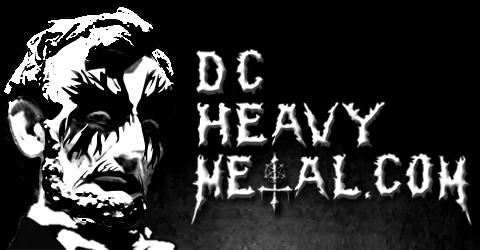 We lucked into getting an advance copy of the full album and I got DCHM writer Buzzo Jr to write the following review. Be sure to stream a couple tunes at the bottom of the post while you read it. Dunsmuir is a newly formed heavy metal band whose self titled debut will be landing this week. While not an entirely local act, Neil Fallon, the frontman of Maryland’s own Clutch, is teaming up with legendary drummer Vinny Appice, formerly of Black Sabbath and Dio. Rounding out the lineup is Brad Davis of the desert rock band Fu Manchu on bass and Dave Bone of The Company Band on guitar. 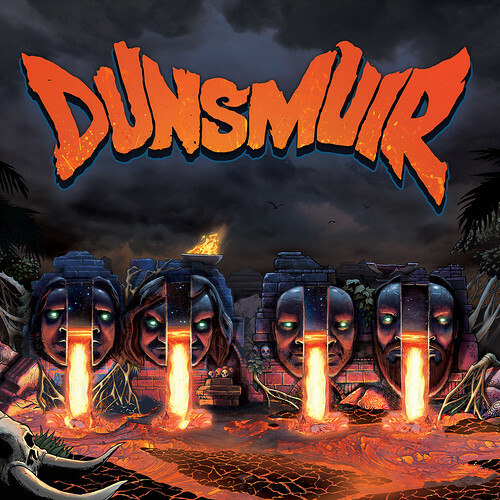 Having been in the works since 2013, Dunsmuir’s self titled debut is an ode to classic heavy metal, along with being a concept album about the fates of the survivors of a 19th century shipwreck. Upon the first few notes of the album’s opening track, “Hung On the Rocks,” listeners can tell that they’re in for one hell of a good time. The main thing one will take note of here is that the tunes on this record are filled with a much more of traditional metal influence than vocalist Neil Fallon’s other outings like Clutch or the Company Band; both of which feature a heavy blues/punk/stoner rock vibe to them. This is by no means a negative however, as it’s always a pleasure to hear Neil’s amazing vocals regardless of the music around it. Vinny Appice’s drumming is the main star of the following track “Our Only Master,” with his hard hitting beats driving the head banging grooves onward, and at some points hearkening back to his tenure in the Dio era of Black Sabbath. The band’s traditional heavy metal influence becomes even more prevalent in my personal favorite track on the album, “The Bats are Hungry Tonight;” a grooving track that has guitarist Dave Bone playing Iron Maiden-esque galloping riffs and driving melodies backed up by Neil’s powerful voice. It’s no secret that I’m a huge fan of Neil’s vocals, (as mentioned in my review of Clutch’s previous album, Psychic Warfare) and his instantly recognizable bellows are in part what gives Dunsmuir, and any other band he works with, a unique element that sets them apart from other rock and metal bands. The fast galloping pace of “The Bats are Hungry Tonight” soon give way to the slower “What Matter of Bliss,” a track oozing with doomy riffage and Black Sabbath worship. The slow eerie riffs soon speed up once again on “Deceiver;” a track that combines a great amount of Judas Priest inspired metallic riffs and an infectious chorus. The grooves keep on coming with the tracks “…And Madness” and “Orb of Empire.” Neil delivers his trademark bluesy shouts and ruff barks alongside Vinny’s bombastic drumming and Dave Bone’s fuzz drenched riffs. The tempo comes slowing down once more for the album’s longest track, “Church of the Tooth.” Dave plays at a crawling pace, interspersing the dark atmosphere of the track with melodic guitar licks and is backed up perfectly by Brad Davis’s bass lines. The penultimate track “The Gate” is a great mid paced track full of hard rocking rhythms. The album comes to an end with “Crawling Chaos!,” which is by far the most sinister sounding track on the album. Neil finds himself switching between his usual melodic croons to an angry growl; all the while telling tales of Lovecraftian deities from another dimension. Lyrics such as “They rise from the desert, from the mountains, and waves, to swallow the sun, cast down their chains, they open their mouths and fill up their lungs, speak the unspeakable, with their terrible tongues” evoke a sense of mystery and wonder, as Neil’s cryptic lyricism often does. Neil’s shouts combine excellently with the bombastic drumming and the grooving riffs, bringing the album to a slow and steady close. While it’s relatively short run time of 35 minutes may leave you wanting more, Dunsmuir’s debut album is not one you want to miss. Those of you who are fans of Clutch and Dio era Black Sabbath will love this record although they may miss Dio’s signature wails. Here’s hoping that a tour is in the works soon, because I’d love to hear these tracks played in a live setting.